I am a sucker for love. As a consequence, I cannot imagine writing a book that does not contain a sizeable portion of love – albeit I generally avoid the mandatory complications of a romance as it drives me CRAZY when he and she are torn apart, both of them believing the other no longer cares for them. (This is when I will peek at the ending, needing reassurance. Idiotic, I know, as a romance also should have a happy ending, but just in case, I check) My characters are often torn away from each other, but at least they have the comfort of knowing somewhere their man/woman still loves them, will do anything to see them safe. “But she’s not from your time,” I protested, looking at him. Matthew was leaning against the wall, arms crossed over his chest. 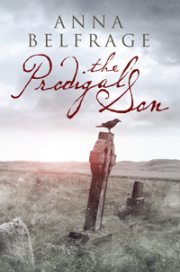 His hitherto so vague form was suddenly fleshing out, bright hazel eyes meeting mine as he jerked his dark head in the direction of the woman. He went back to staring at her, a smile tugging at his long mouth. No matter his linen shirt was worn and dirty, his breeches had seen far better days, and he was in serious need of a bath and a shave, he looked quite mouth-watering – but unfortunately (or not: after all, I am happily married, and Matthew Graham doesn’t exist except in my VERY active imagination) his attention was riveted on her, this as yet unknown Alex. “You heard me,” he said, beginning to fade away, all six feet and plus of him. “You do that.” He gave me an encouraging smile. Obviously, Matthew was smitten. A serious case of what the French call a coup de foudre, love at first sight. Some people scoff at the idea of something as ridiculous as immediate love, but personally I am not that certain. I believe some of us are lucky enough to meet the one and only, and the moment our eyes connect, we are done for. One day, Alex-in-my-head caught sight of Matthew. At the time, he was fleeing for his life, scrambling up a dilapidated ladder to hide behind a crumbling chimney. Dogs bayed, horses snorted, and the loud voice of the officer called his men to order, instructing them to find the fugitive and apprehend him. “Fugitive?” Alex whispered, leaning forward. “He’s just escaped from prison,” I explained, throwing a worried look at one of the soldiers who was studying the ladder. “Is he a criminal?” She didn’t seem too bothered by the notion, incapable of tearing her eyes away from Matthew’s crouched body. “He’s sort of busy at present,” I pointed out. To my horror, the roof gave way, and a surprised Matthew was sucked into the house. “He’s in the 17th century!” I protested. Turns out Matthew and Alex were right. They were born three centuries apart, they should never have met, and yet they are each other’s missing half. Without her, he would be diminished. Without him, she wouldn’t quite know how to breathe. 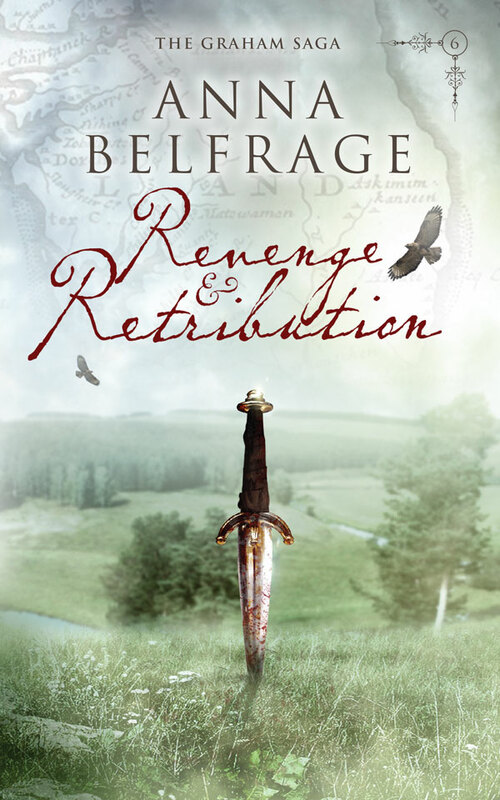 And no matter that by now they are well past their youth, the fire between them still burns, still scorches their hearts – as can be proved by the excerpt below from Revenge and Retribution, the recently released sixth book in The Graham Saga. “And you are surprised?” Matthew blew into her nape, tickling her. “You know I would,” she grumbled. She still was, a wave of puce green washing over her whenever she thought of Matthew and his first wife, Ian’s mother. “Are you?” she asked, pummeling at her pillow. Occasionally, she wanted to claw Kate Jones’ eyes out as well, she reflected, in particular when Matthew was too attentive to her. “Jealous.” She could feel him laughing behind her. “I know, aye? I see it in how his eyes follow you around, and how he lets his gaze linger a wee bit too long on your bosom and your arse.” It came out in a very dark voice, and Alex smiled. “Not as such,” he replied with a yawn. “Not of him.” He sounded very dismissive. “So who?” she said, now very wide awake. Alex struggled up to sit, making the whole bed sway. “I’m glad that you weren’t.” She smiled at the way his eyes narrowed. “Otherwise, how would I have known just how lucky I was?” She kissed him: a long kiss. “Very lucky,” she said, licking her lips. All of Anna’s books are available on Amazon US and Amazon UK. 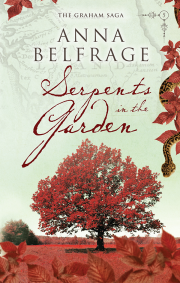 For more information about Anna Belfrage and her books, visit her website! 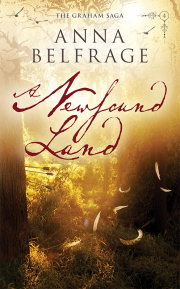 This entry was posted in book excerpts, writing and tagged Anna Belfrage, Swedish authors, The Graham Saga. Bookmark the permalink. Thanks for joining me today, Anna. It was nice meeting you Anna! Loved the excerpt, will have to add it to my TBR List!! Good day, Liz. I am pleased you found time to enjoy Anna’s excerpt. Thanks for joining us today, Denise. Anna’s new book went live on Kindle yesterday. Glad you enjoyed the post and excerpt ladies – and thank you yet again, Regina, for allowing me to visit.